If you're looking to buy high-quality delta binaural beats fused with beautifully crafted ambient music, take a look through our music catalogue. 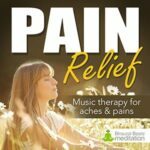 Our delta binaural beats music contains delta frequencies, which are designed to entrain the brain for deeply relaxed states such as sleep and pain relief. During a normal nights sleep a sleeper passes from the theta waves of stage 1 and 2, to the delta waves of stage 3 and 4. In stage 4 of sleep, more than 50 percent of the waves are delta waves. Encouraging your brain to produce more delta waves prior to going to sleep helps to promote deeper and more restful sleep. 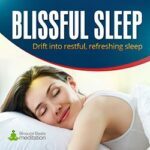 Our delta waves category contains two sleep-inducing meditations, both ideal for those who want to fall asleep faster and stay asleep longer. They use the same frequencies but have different sound designs; so pick the one you prefer, or try both an alternate to see which gives you the best results. 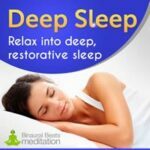 We also have a Power Nap meditation that uses delta binaural beats. This track takes you gently into a ‘nap state', but not a deep sleep. This is ideal for an afternoon nap, or perhaps for on the train, the plane or even your desk at work! 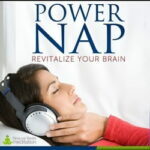 Towards the end of Power Nap, the music entrains the brain back up into the alpha wave state, so that you can emerge fully aware, but still relaxed, and back into the world without feeling drowsy. We also have a Pain Relief meditation for general aches and pains such as lower back pain and pain from old injuries. This meditation will also help those suffering from aches and pains as a result of surgery or illness. 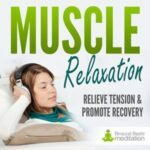 There’s a Muscle Relaxation track for those who want to soothe and heal aching muscles. This is ideal for runners and gym goers, or those finding that age is causing their muscles to tire more quickly. It's a perfect evening relaxant in the winter months too. Try it with a warm mug of cocoa! In addition, we have a headache relief meditation that will cure light headaches such as those caused by too much screen time or a late night. 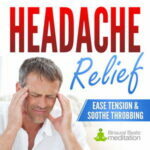 It will also take a big edge off of more serious headaches too. Like all our music, our delta binaural beats are available to buy as instant downloads. Each comes as a high-quality mp3 download and is compatible with any digital device capable of music playback. You will receive two versions of each track: a 30-minute version and a 1-hour version, along with a user guide.